Zotos International, Inc., is a professional beauty industry leader that manufactures and markets a full range of hair care, texture service and hair color options for today's salons and salon professionals. For more information about Zotos, please visit www.zotos.com. At Joico, we eat, sleep and breathe beauty. We develop innovative, top performing products. We design artistic imagery that inspires creativity. We surround ourselves with the most gifted artists and educators in the industry. We are 100% committed to the advancement of the global salon community. Why? Because beauty isn’t our job—it’s our passion. 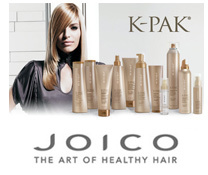 For more information about Joico Laboratories, Inc., please visit www.joico.com.